Completely free from lactose and dairy, our Hydrolysed Beef Protein is packed with all the essential amino acids and 24g of protein per serving — perfect for anyone looking for an alternative to traditional whey shakes. It’s a great source of amino acids, too. 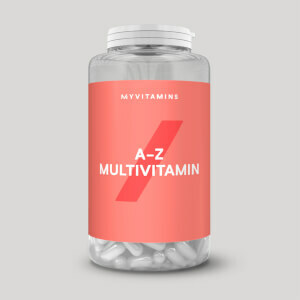 These naturally occur in protein, which helps to build and repair new muscle,1 a must-have for your training schedule. Plus, with only 0.5g of fat, and zero sugar per serving, it will support all fitness goals — whether you’re looking to bulk-up, tone-up, or lose weight. When to take Hydrolysed Beef Protein? Just add 1 large scoop (25g) with water or milk, 30 minutes’ pre- or post-workout — or any time for a protein boost. What does Hydrolysed Beef Protein work well with? 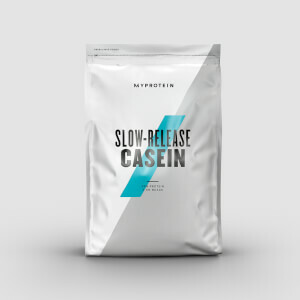 Hydrolysed Beef Protein is perfect for increasing protein intake, while minimising carbs and fat. But if you’re looking for a delicious treat that will satisfy sweet-tooth cravings and support your training goals at the same time, try our Baked Cookie. Carniepro the worst protein ever made. Carnipro is by far the worst protein I have ever used. The taste is absolutely disgusting so much so that after I have used it only 3 times, two of those times adding additional flavouring such as cocoa powder, blueberries and other chocolate flavoured protein. I now just have a bag of protein that I will never use again. Not only does it taste F...ing horrible it also does not mix well and lumps together in sticky clumps even when blended. I have been training and focusing on nutrition for over 10 years and have found other products provided by myprotein.com to be excellent. I cannot more strongly convey my disappointment at this product and would suggest that anybody considering using it just doesn't. There are better products available do yourself a favour and don't waste your time or money. I have a dairy sensitivity that I developed from months of whey isolate usage and switched to Beef Protein as an alternative. I've used other HydroBeef products in Canada from a different supplier, and am now living in Australia and wanted a similar product (even better that it's available in bulk). I trust HydroBeef, and MyProtein has delivered a quality product containing it. The Vanilla flavour tastes like a bowl of your favourite cereal. As with any quality beef protein, there is reduced solubility as it is only partially hydrolyzed (otherwise it would simply be an aminos mix) and takes a bit to dissolve. I can't complain because the flavour tradeoff is there. I've tried other Bulk companies for their beef proteins and they do not compare. Doesn't mix properly unless you shake it for like 10 minutes otherwise it's fine.